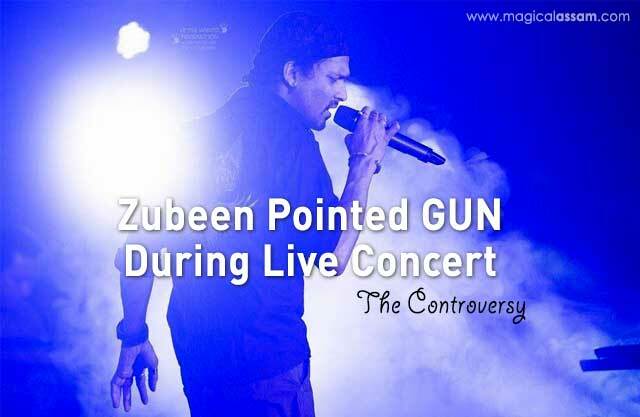 Popular Bollywood/Assamese singer Zubeen Garg was once again embroiled in controversy and this time by wielding a ‘gun’ during a musical performance, threatening the audience not to leave otherwise he would shoot them. Zubeen was performing at an ongoing three-day cultural and musical extravaganza “Rongali”at the veterinary college ground in Guwahati’s Khanapara area on Sunday night. “I’ll sing with this gun now. It’s not fake, it’s real. Don’t go away or I’ll shoot you,” he said in the middle of his performance while brandishing a pistol in his hand. “We were informed about the incident last night at the Khanapara play ground. Our personnel frisked the singer but they found only a toy gun with him,” said Deputy Commissioner of Guwahati East Police District H.K. Das. Zubeen later told that he came to the programme from the film shoot of his upcoming movie “Mission China” and he brought the toy gun from the shooting. No case was registered against him as no one had lodged any complaint in this regard.